Will Beto Be America's First Latino President? The Same Way Bill Clinton Was America's First Black President? They’re concerned that Robert Francis O’Rourke, who this week joined an already-crowded field of 2020 Democratic presidential hopefuls, is trying to put one over on Latinos by tricking them into thinking he’s one of them. Or, at the very least, they think that his strategy, or that of his handlers, is to come across to Latinos as a simpatico who connects with them the way that Bill Clinton– who writer Toni Morrison mischievously dubbed “our first black president”– connected with African-Americans. At least until Barack Obama came along, and the Clinton machine tried, and failed, to destroy him. But hey, let’s cut the guy some slack for going AWOL when Latinos needed him. 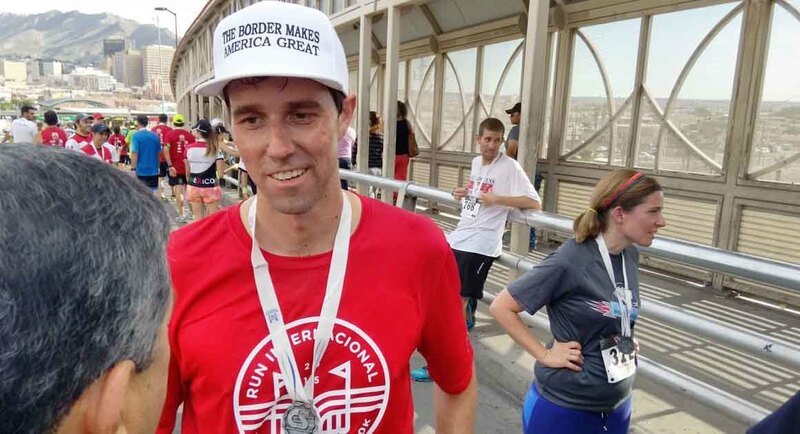 O’Rourke hails from the border city of El Paso, Texas. Where would anyone encounter immigrants in a place like that? The Democrat is also criticized for not reaching out to Latino voters in Texas during his Senate race last year against incumbent Ted Cruz, perhaps thinking he had them in the bag and so he could take them for granted. One Mexican-American professor who teaches at a university in San Diego criticized that the politician called himself “Beto.” He said it seems like O’Rourke is taking advantage of his nickname to pretend to be something he’s not. Another professor and lawyer, who is Panamanian-American, said that O’Rourke hasn’t lived the life of a Hispanic man. As a white male, his life was easier. And it still is. You see, being a member of America’s largest minority– especially in the Donald Trump era– isn’t all fiestas and churros. And if you haven’t had your ticket punched, you don’t get to take the ride. Robert Francis prefers to be called by that name, and he and his army of supporters– the Beto bots– swear it has nothing to do with politics. They even point to the fact that O’Rourke seems to have first gotten tagged with the moniker when he was a child, showing off a photo of him as a boy wearing a sweatshirt with the name “Beto” on it. What they appear not as eager to talk about, however, is the fact that Patrick O’Rourke– Robert Francis’ father– once explained that he was the one who gave his son the nickname in the first place and the reason had a lot to do with politics, as well as geography. It’s certainly not respectful to assume that people can be so easily fooled. And, as any real Latino can tell you, respect goes a long way in our community. O’Rourke should take the time to get to know us better. And, if he did, more Latinos might have a better impression of him. So, that’ll be part of the Republican strategy if Beto makes it onto the national ticket. It’s divisive… but not unsurmountable. I just love the idea of conservatives taking up the cultural appropriation cudgel for their own use though! It always seemed to me to be tailor-made for them anyway.